Section 1. 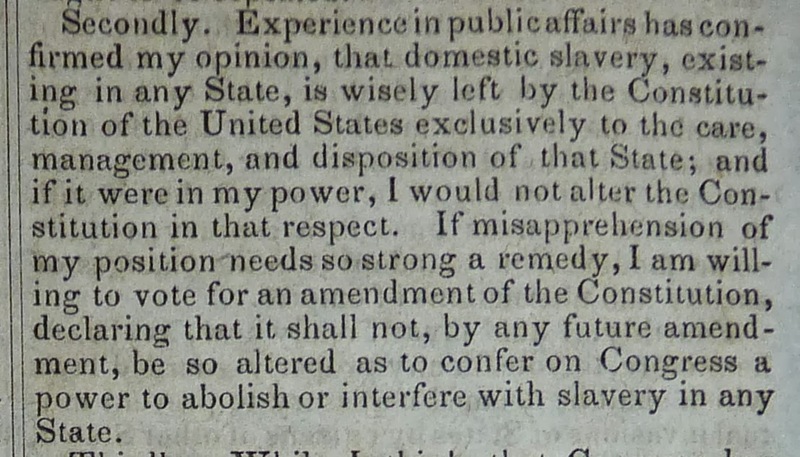 Neither slavery nor involuntary servitude, except in the punishment for a crime, whereof the party shall have been duly convicted, shall exist within the United States, or any place subject to their jurisdiction. 13th Amendment signed by the Members of the House of Representatives and U.S. Senate in 1865 that passed the landmark legislation. 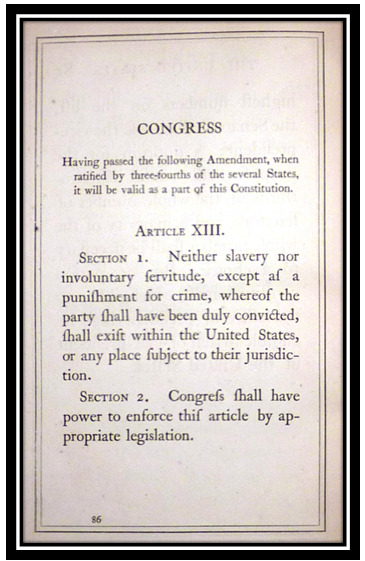 Slavery had been tacitly protected in the original Constitution through clauses such as the Three-Fifths Compromise, in which three-fifths of the slave population was counted for representation in the United States House of Representatives. Prior to the Thirteenth Amendment, more than sixty years had passed since the last amendment to the Constitution had been successfully ratified. Though many slaves had been declared free by Lincoln's 1863 Emancipation Proclamation, their post-war status was uncertain. 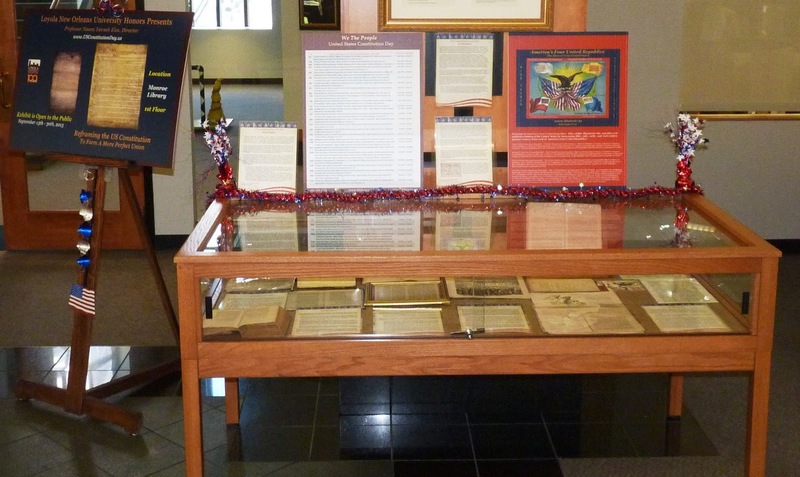 13th Amendment is exhibited in its first appearance, in book form. The full title of the publication is The Declaration of Independence and Constitution of the United States of America by R. Spalding, New York, 1865. Decorative Cloth, 1st Edition. 8vo - 7¾" - 9¾" tall. 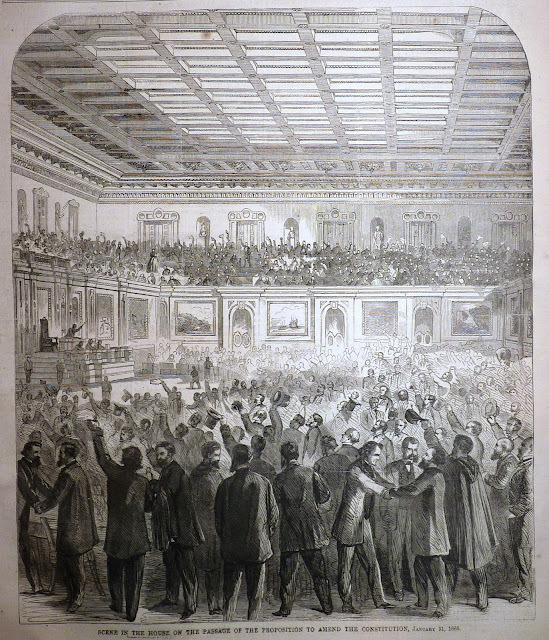 Harper's Weekly, New York, February 18, 1865, capturing a jubilant scene captioned: "Scene in the House on the Passage of the Proposition to Amend the Constitution", being the 13th Amendment to the Constitution. 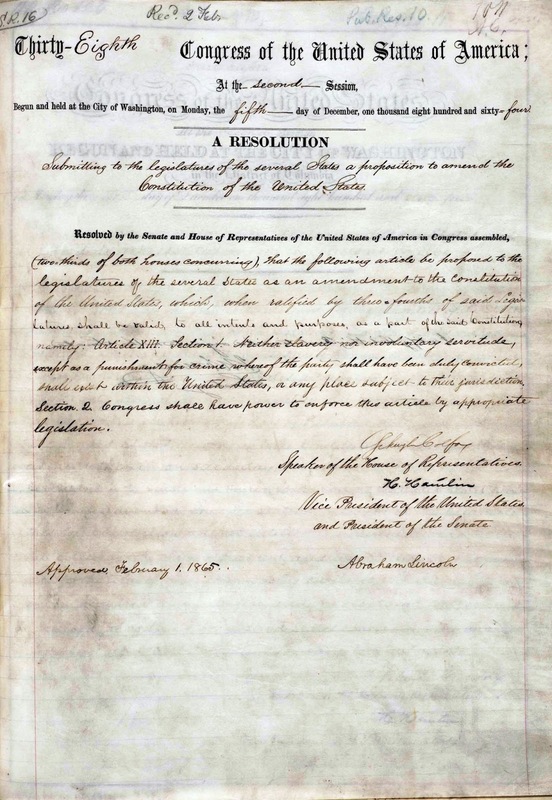 Though the amendment formally abolished slavery throughout the United States, factors such as Black Codes, white supremacist violence, and selective enforcement of statutes continued to subject some black Americans to involuntary labor, particularly in the South. In contrast to the other Reconstruction Amendments, the Thirteenth Amendment was rarely cited in later case law, but has been used to strike down debt peonage and some race-based discrimination as"badges and incidents of slavery". "No amendment shall be made to the Constitution which will authorize or give to Congress the power to abolish or interfere, within any State, with the domestic institutions thereof, including that of persons held to labor or service by the laws of said State." 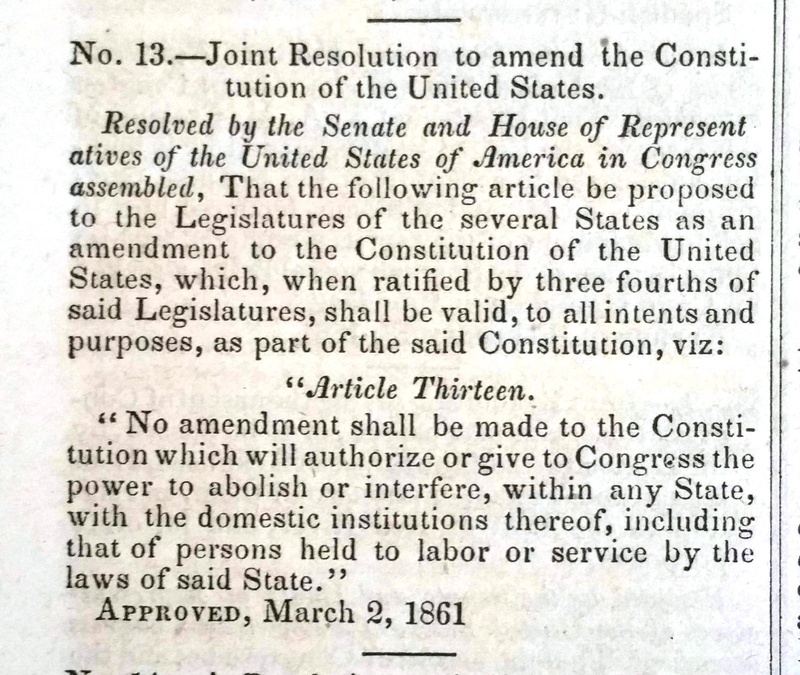 March 2, 1861, Congressional printing of the failed 13th Amendment: "No amendment shall be made to the Constitution which will authorize or give to Congress the power to abolish or interfere, within any State, with the domestic institutions thereof, including that of persons held to labor or service by the laws of said State." 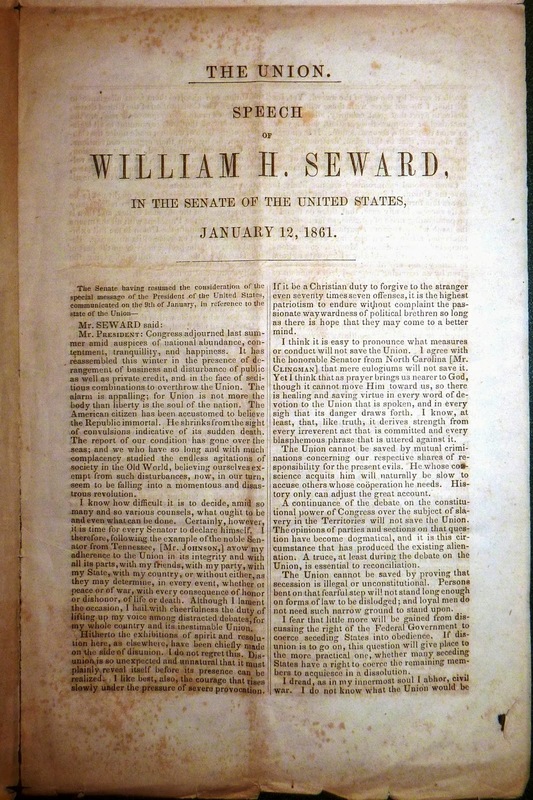 The text refers to slavery with terms such as "domestic institutions" and "persons held to labor or service" and avoids using the word "slavery", following the example set by the framers at the Philadelphia Convention of 1787, which referred to slavery in its draft of the Constitution with comparable descriptions of legal status: "Person held to Service", "the whole Number of free Persons..., three fifths of all other Persons", "The Migration and Importation of such Persons..."
"I understand a proposed amendment to the Constitution—which amendment, however, I have not seen—has passed Congress, to the effect that the Federal Government shall never interfere with the domestic institutions of the States, including that of persons held to service....holding such a provision to now be implied constitutional law, I have no objection to its being made express and irrevocable." 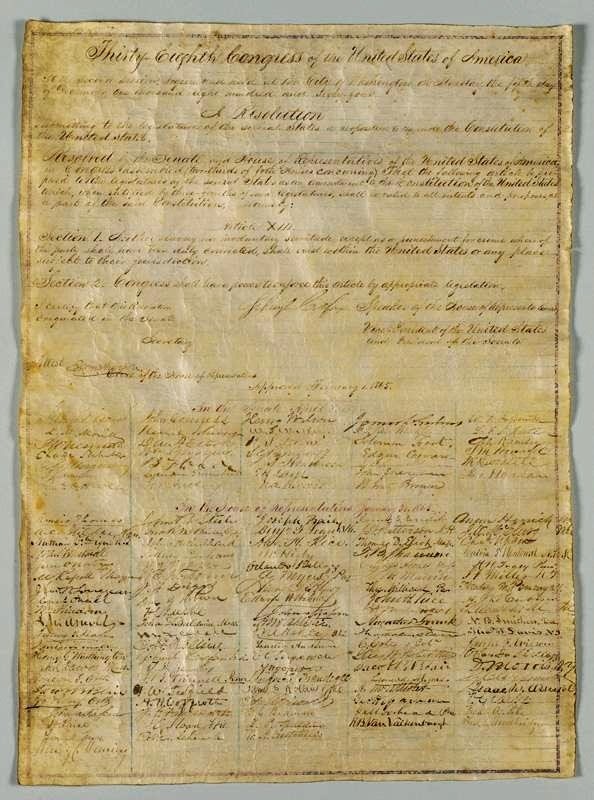 Just weeks prior to the outbreak of the Civil War, Lincoln sent a letter to each state's governor transmitting the proposed amendment, noting that Buchanan had approved it. 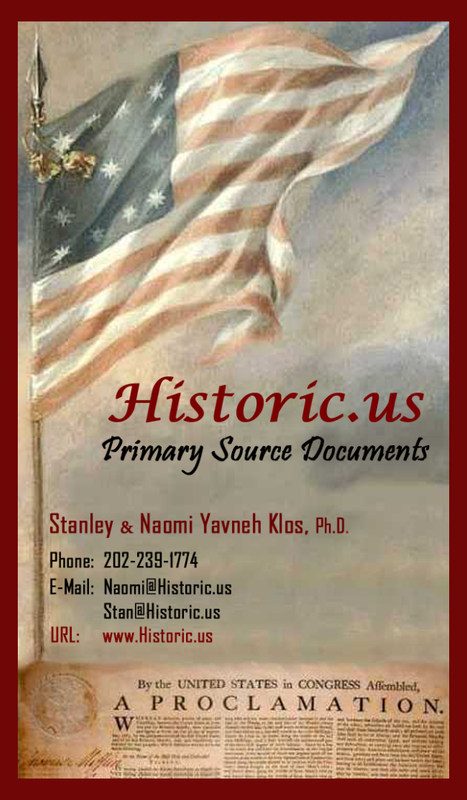 This final attempt to salvage the union without bloodshed failed because the States Rights issues of secession were complex and the Southern States ignoring the opportunity to ratify a constitution amendment, backed by Lincoln, that would have preserved slavery proves it was not the primary motive behind the dissolution of the Union. The CSA Flag, more than anything else, was a States Rights symbol and a throwback to the first constitutional government of the USA formed under the Articles of Confederation. "Discontented citizens have obtained political power in certain States, and they are using this authority to overthrow the Federal Government." Disunion would be an unspeakable calamity. It "would not only arrest, but extinguish the greatness of our country." 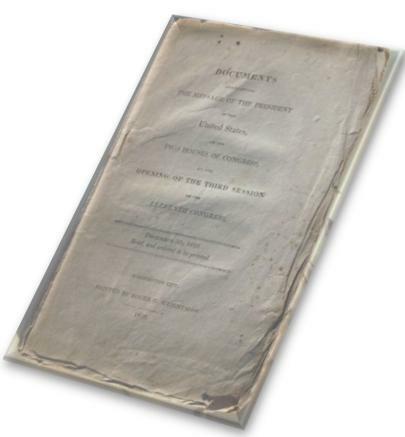 "I understand a proposed amendment to the Constitution – which amendment, however, I have not seen – has passed Congress to the effect that the Federal Government shall never interfere with the domestic institutions of the States, including that of persons held to service . . . . [H]olding such a provision to now be implied constitutional law, I have no objection to its being made express and irrevocable." 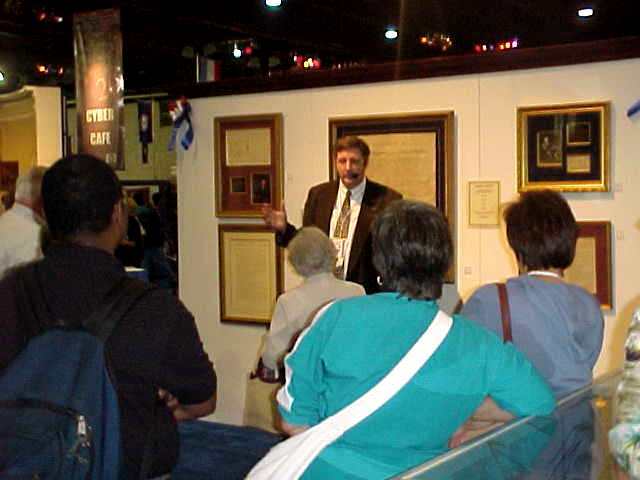 Primary Source exhibits are available for display in your community. 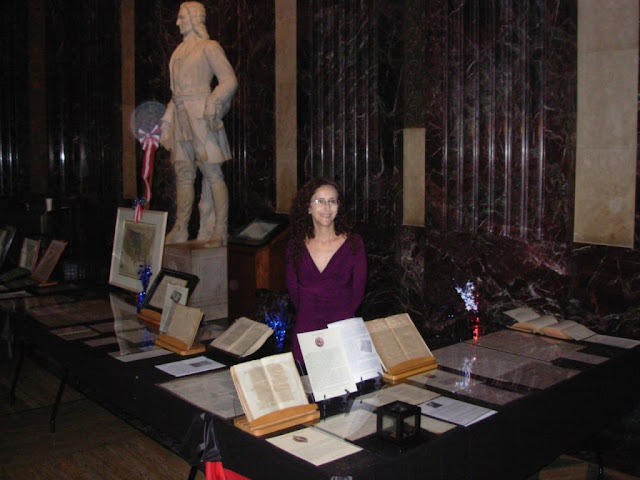 The costs range from $1,000 to $25,000 depending on length of time on loan and the rarity of artifacts chosen.